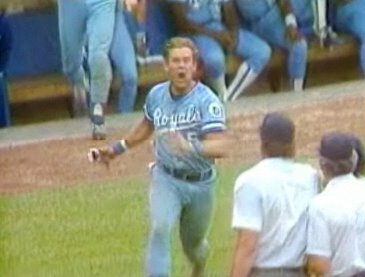 At The Hardball Times, Chris Jaffe noticed that it’s been 10,000 days since George Brett’s famous pine tar home run. Happy anniversary to the most famous pine tar in the history of pines or tar. Happy Greinkeday, and Happy b-day to King George!